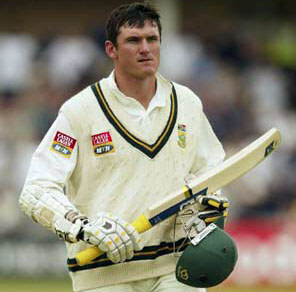 Johannesburg, Aug. 26 : South African skipper Graeme Smith has vowed to hold on to the number one Test ranking for ''''as long as possible''''. The Proteas are the game''s new top dogs while Sri Lanka and India have also leapt above Australia in the rankings, leading players to reconcile with themselves what the fans already know; that decades of dominance are over and they no longer qualify as the world''s best following a third series defeat from their past five. ''''The players deserve it for the hard work they have put in over the past two years and the outstanding results that have been achieved. We want to hold on to this ranking for as long as possible,'''' the Sydney Morning Herald quoted him, as saying. Australian batsman Michael Hussey said: ''''I think this team has got a lot of improvement to go. I think in the cold light of day we''re probably not the best team in the world, and we''ve got to be honest with that." Hussey and captain Ricky Ponting, both 34, have left the door ajar on possibly returning to win the Ashes in England in 2013 after the painful loss. ''''I was shattered, absolutely shattered. I was pretty emotional at the end of it all, sitting down there. The boys had gone on to the ground, I was taking my pads off in the dressing room and it was pretty hard to take,'''' Hussey said.